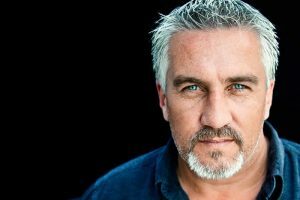 A food and travel series commissioned by UKTV and starring Paul Hollywood is coming to Good Food and W Network in 2019. Paul Goes to Hollywood follows the English celebrity chef (pictured) on a road trip across the U.S. on his Harley Davidson. The 3,000-mile trip will take the Great British Bake Off judge to iconic Hollywood movie locations, where he’ll sample foods recognizable from the silver screen before arriving at the ultimate movie mecca: Hollywood. Along the way, Hollywood will stop off at Bob’s Big Boy Diner in Los Angeles, featured in Pulp Fiction; Lenny’s Pizzeria in New York, as seen in Saturday Night Fever; and more. Paul Goes to Hollywood is a UKTV original from Denham Productions, distributed by Bomanbridge Media and executive produced by Tris Payne. “This series is packed full of adventure and fun and will make an excellent show for both film fans and foodies,” said Kirsty Hanson, commissioning editor at UKTV, in a statement.